The Canal Business Network (CBN) represents the business interests of its many members from amongst the business community in Bluebell, Inchicore, Islandbridge, Kilmainham and Rialto (otherwise known as the “Canal” area). A business network is a type of business social-network. The purpose behind Canal Business Network (CBN) it to encourage businesses, in our area, to connect with each other to generate commerce and business opportunities within the region. Many business people agree that business networking is a more cost effective method of generating new business than advertising. This is because business networking involves more of personal commitment than company money; along with that in a business network you are actually getting to meet with people who want to do business and have the decision-making capacity to do so. To compliment the main networking activities, members often meet outside the network on their own time, and build their own one-to-one business relationships with the fellow members. One of the key factors in building the Canal Business Network was the vision of an improved, vibrant and thriving district where businesses, institutions , families and individuals would want to locate to live, work and prosper. 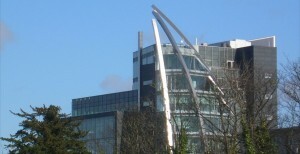 As part of this aspiration CBN engages with the major institutions, agencies and local authorities in the area including, amongst others, Dublin City Council, St. James's Hospital, The National Childrens' Hospital, An Garda Siochana, Canal Communities Partnership, St. Michael's Regeneration Board, The Richmond Barracks etc. As well as building the network of businesses to stimulate commerce, it is envisaged that with a thriving business community would develop an improved social and community life within the area, thus encouraging social and cultural regeneration. CBN (The Canal Business Network) in association with Canal Local Employment Service Network and Canal Communities Partnership was established to harness the power of business networking. It is proudly supported by Canal Local Employment Service Network. Join our LinkedIn Group http://linkd.in/1Kq73vF and meet other members Facebook: https://www.facebook.com/groups/903057909714158/ Twitter: https://twitter.com/canalbusinessn1/ A comprehensive list of over 400 businesses in the Canals catchment area is available here. Subscribe for free and see their updates in one newsfeed. We want to unite businesses and create a mutual environment for our members to work and co inside with each other for the development of the community. From large to small businesses we want to create a network to help all levels of enterprise . 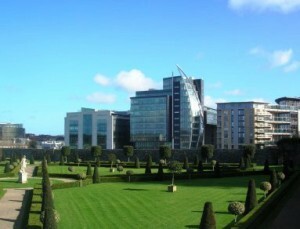 With so much investment coming to this area of Dublin, this is the ideal time to join. All that is needed is some of your time and commitment.